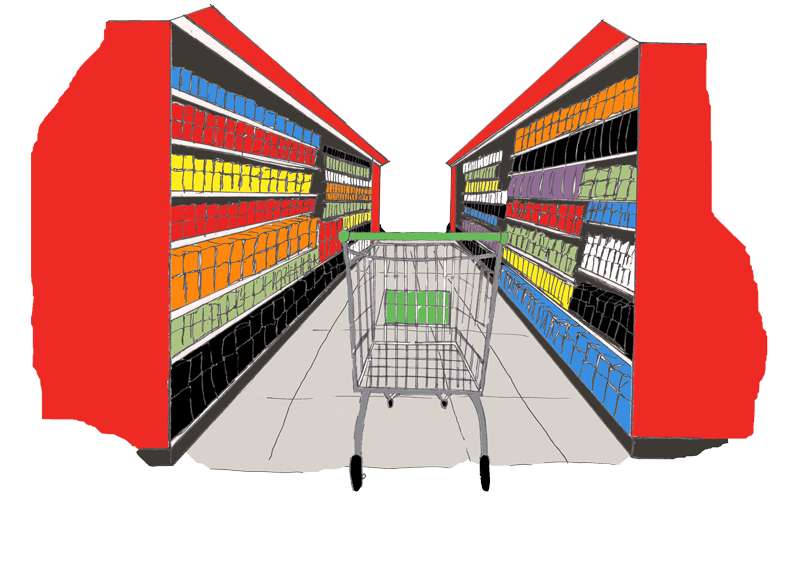 One third of Irish shoppers consumers are more likely to shop in a supermarket if it has a community initiative, according to the latest Consumer Insights survey by Empathy Research. Of 950 participants, this was most prevalent among participants with children (39%), compared to those without children (29%). Regarding age, 35-44 year olds are more likely (45%) to shop in a supermarket if it has a community initiative such as GAA sponsorship or charity donations compared to all other age groups; 18-34 years (27%), 45-54 years (31%) and 55+ years (34%). Male consumers are likely to cut back on alcohol consumption in order to fund Back to School purchases, according to research from Carat. The latest Carat Pulse bulletin found that 43% of male consumers said they would 'drink less alcohol' in order to have more money to spend on Back to School items, with 35% saying they would 'purchase more generic brands', and 33% saying they would 'go to the cinema less often'. This year’s Annual Market Report by the Irish Brewers Association (IBA) shows a 7% rise in the export of beer, increasing from 43% in 2012 to 50% in 2013. The report also shows that beer has a market share of 47%, maintaining its place as Ireland’s most popular alcoholic drink. The Ballygowan Gold campaign, which saw Ballygowan’s blue labels turn gold since April 2014, has hit its target of €100,000 to help fund essential Irish Cancer Society and Marie Curie Cancer Care (Northern Ireland) nursing services and support cancer patients and their families. The last 20 years have seen unprecedented changes in the grocery market in Ireland. The “Celtic Tiger” years led to a significant increase in demand as the population expanded in response to the property boom. New store openings were a feature of this period as was the focus on innovation, in particular in the food-to-go area. Over 120 leaders from the Irish food and drink industry and the Minister for Agriculture, Food and the Marine Simon Coveney gathered at the Michael Smurfit School of Business, Dublin for Bord Bia’s fourth annual ‘Pathways for Growth’ seminar. The Pathways for Growth initiative began in 2010 when Bord Bia engaged Professor David Bell and Mary Shelman of Harvard Business School to work with the Irish food industry to develop a vision for the sector’s future. More than 120 jobs are to be created in three locations across the country following announcements by two discount retailers. No frills fashion outlet TK Maxx yesterday opened its new store in Dublin’s Dundrum Town Centre with the creation of 75 new jobs, while Dealz unveiled its new shop in Dundalk, Co Louth. Marks & Spencer Ireland has won the Outstanding Achievement in Corporate Social Responsibility (CSR) Award at the 2014 Chambers Ireland CSR Awards, held in Dublin last night. The judging panel selected the retailer for the sustained excellence of its CSR programmes. Lynch’s Centra based in Ennis in Clare could be laying claim to title of Best Forecourt in Ireland for Hygiene and Food Safety on September 26th 2014, having been announced as one of the finalists at the 2014 National Q Mark Awards. SuperValu is building an entire village for this year’s National Ploughing Championships. The retailer said it wants to showcase its commitment to growing local communities and plans to celebrate the very best fresh food available from its good food family of over 600 Irish, Signature Tastes and Food Academy producers over the three-day event. The National Brown Bread Making Championship, sponsored by Aldi and in association with the Irish Countrywoman’s Association, is making a comeback to the Ploughing for the first time since 1991. The Aldi marquee will be the spot to be, playing host to the semi-final and final. Over 250 Centra stores around Ireland are hosting a local ‘pink walk’ this October as part of its ‘Let’s Walk’ initiative which aims to raise funds for the Irish Cancer Society’s Action Breast Cancer programme. So where to now for Ireland's retail park players? The development of retail parks across Ireland has provoked similar controversies to the UK, with critics blaming them for the decline of town centres. Who stole the cookie from the cookie jar? Who cares, according to Tesco Ireland, who has revealed that the simple chocolate digestive is actually the nation’s top choice of biscuit. The retailer investigated biscuit sales over the last 20 weeks to see what Irish shoppers were stocking their trolleys with. Tesco slashed its profit forecasts by almost €320m following the discovery of an accounting error, adding to an already tumultuous year for the British retailer. The company announced yesterday that it had uncovered a huge accounting error of £250m (€317m) in the preparation of interim results due to be released at the beginning of next month. A leading political source has told Agriland that Tesco (UK) has – in principle – agreed a new beef marketing arrangement, which will allow all the beef produced from cattle born and reared on the island of Ireland to be labelled as ‘Irish’. Following a meeting with representatives from Tesco to discuss a range of issues including: the crisis situation facing Northern Ireland’s beef farmers; the retailer’s lamb procurement policy; concerns in relation to the potato and vegetable sectors; the pig meat price differential between Northern Ireland and Great Britain; and concerns in relation to the poultry sector the Ulster Farmers’ Union came away with mixed feelings.